For most fabrication shops the .035 with is the most common. If you are a at home welder then use a small diameter electrode whenever you can. The smaller the electrode the less power you need from your machine to run. 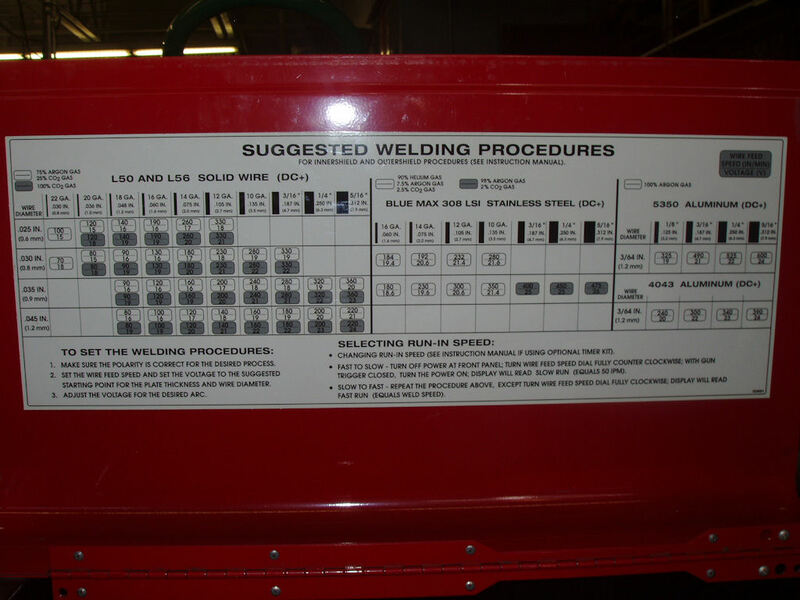 Just remember when it comes to MIG welding a single electrode size welds a wide range of metal thicknesses because it is the machine set-up that determines the metal thickness that will be welded. Stainless Steel Grades: 301, 302, 304, 305, and 308. Stainless Steel Grades: 304,305, 308, 310, 312, 314, 316, 317, 321, 347 and 348. Aluminum Grades: 2014, 3003, 3004, 4043, 5052, 6061, 6062 and 6063. It may also be used to weld cast Aluminum grades 43, 214, 355 and 356. Aluminum Grades: 5050, 5052, 5056, 5083, 5086, 5154, 5356, 5454, 5456. 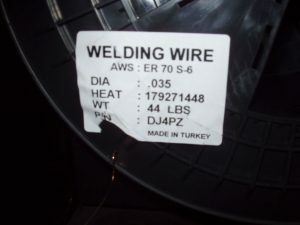 MIG Welding carbon steel or mild steels are typically welded with a ER70s-6" electrode using either 100% Carbon Dioxide gas or C25 gas that is 25% Carbon Dioxide and 75% Argon mixture. 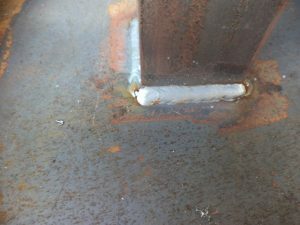 If you are welding a higher grade of carbon steel the minimum tensile strength is what usually changes. 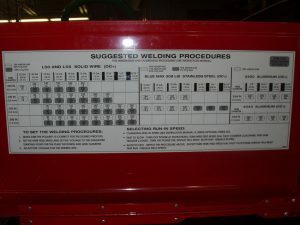 For example if you are welding high strength steel the “ER70S-6" would be a “ER90S-6" instead. The change in the strength of the steel is what would be different. ER– An electrode or filler rod that is used in either a MIG wire feed or TIG welding. 6– The amount of deoxidizing agent and cleansing agent on the electrode. 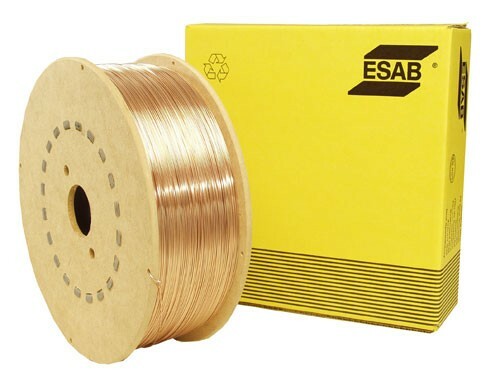 This is a copper coating on the electrode and there are different types too. 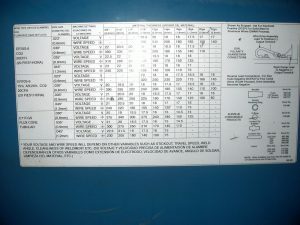 308 – The grade of the Stainless Steel Electrode. L –Low Carbon. Carbon content is what gets the rust spots on stainless. Si– (Optional) Sometime “Si" is added and that means high silicone content. Basically it helps the weld wash into the metal better. Kind of like turning up the heat and holding the sides longer. 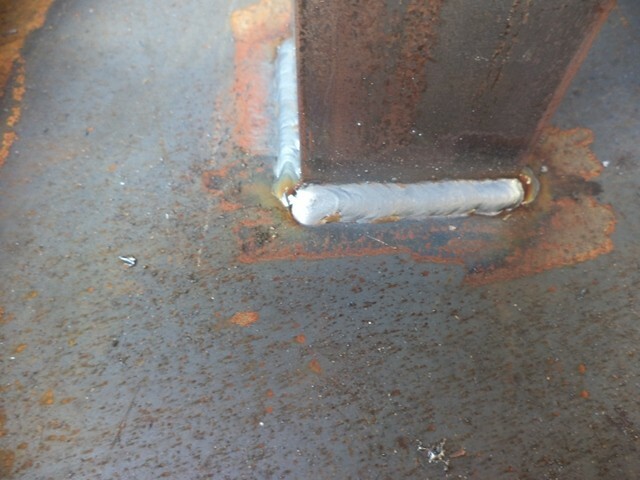 Stainless Steel MIG weld done with a 308L electrode C2 gas. 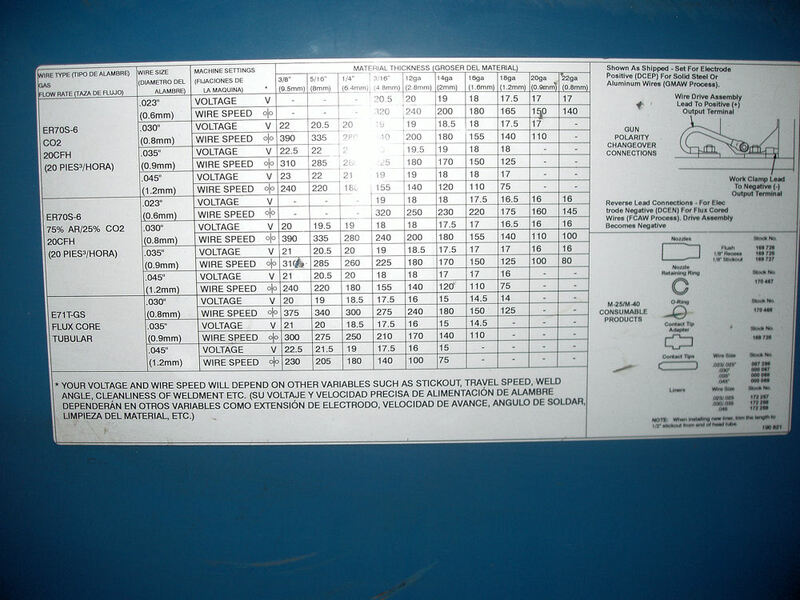 309 – The grade of the Stainless Steel Electrode. 316– The grade of the Stainless Steel Electrode. This is food grade and true marine grade. But nowhere the best grade of stainless. 4– The series of the aluminum. This electrode is made from a 4000 series aluminum. 043 – This number indicates the amount of silicone added to the electrode. 4000 series of aluminum alloys have silicone added to make that grade. 5– The series of the aluminum. This electrode is made from a 5000 series aluminum. 356 – This number indicates the amount of Magnesium added to the electrode. 5000 series of aluminum alloys have Magnesium added to make this alloy.